Come to our Motorhom Park for lovely sheltered grass or hard-standing pitches, with and without electricity. Small shop with breakfast provisions, ice-cream and holiday treats. 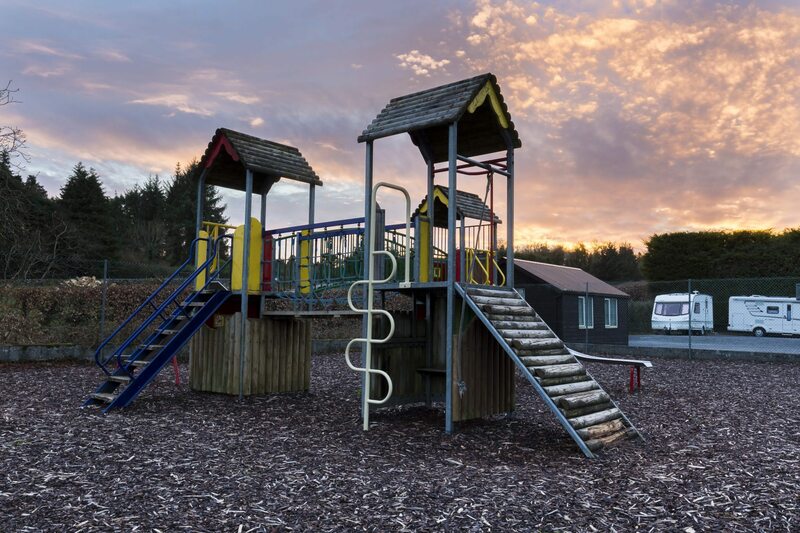 We have a wonderful children’s playground available to keep your kids entertained. Irish family with young children.